A couple of pages from the recent “all ladies” issue, that balance simplicity against complexity. I love quiet moments, and it’s something which Butch does incredibly well. He’s able to get a sense of tension into in the most mundane scenes, but I’m still working on that. Those who know how I define Lady Jaye will get what part of this I tried to heighten; but it really is just a nice moment between old friends. There’s a connection here, and it’s personal. There’s the focus on subtle gestures, and closing in on the face, makes a more intimate moment of it. 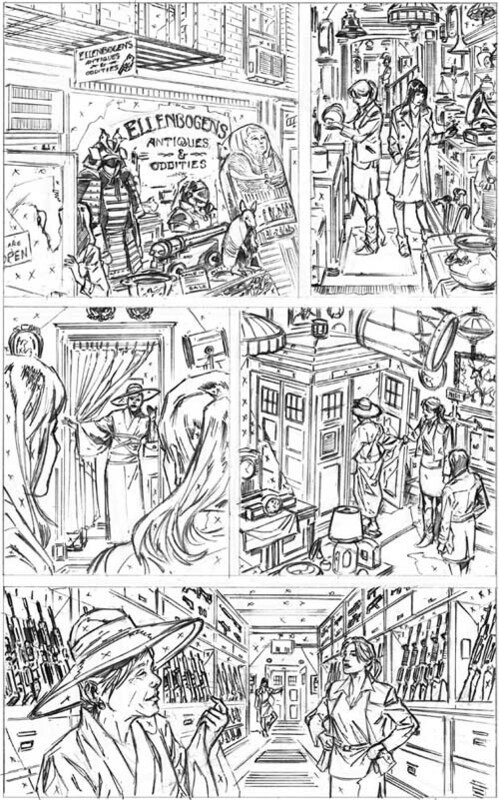 In contrast to that, here’s the next page, set in a curio shop. Where the previous one was in a sparsely decorated army base office, I wanted this to have an overwhelming sense of clutter. 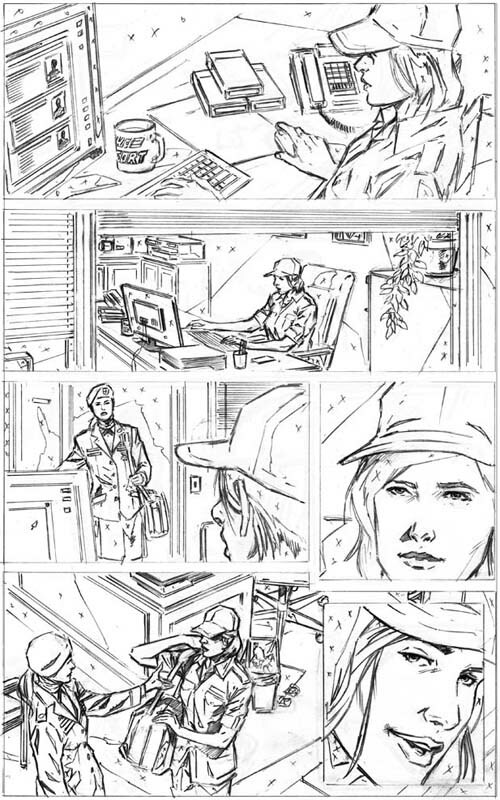 Keep in mind the writer dictated the environments, but often artists will cut corners for time. Some might put a few items in the shot to fill the requirements of the script and establish the stage, but I wanted to emphasize how the ladies are surrounded by the complexity of the world. It’s essentially the same idea, two women talking, but in vastly different environments; and reflecting the content of the conversations. The first is the joy over a friend’s return, and a personal connection. The other visually reflects the convoluted issues two women are addressing at the time. I hope I achieved my goals, even if I didn’t… look at all that crap!